A summary of how the Exceptional Family Member Plan (EFMP) works in each service is provided here. For the most recent updates regarding the EFMP, check the website for your branch, or contact your EFMP office for support. Airmen go through a screening process any time they are up for relocation and if any of the answers indicate they have an Exceptional Family Member (EFM) they will be directed to enroll in EFMP. 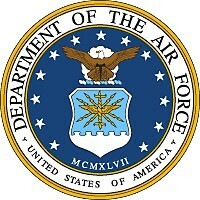 The Air Force requires updating of EFMP information for any relocation. Once the Active Duty sponsor enrolls their family member in EFMP they are then Q-coded. A Q-code simply means that EFMP will be involved in all assignments unless the Q-code is at some point removed. Once a family member is enrolled in EFMP, they will remain enrolled for at least five years from the last appointment they had for specialty medical care. Even if the EFM is no longer receiving specialty care, certain diagnoses will keep them in EFM status. EFMP-Medical (EFMP-M) works at the member’s current base to gather all medical and educational information on the EFM that would be relevant when considering a move. They also implement a face-to-face meeting for base medical personnel to meet with the EFM before a potential PCS. EFMP-Assignments (EFMP-A) works to ensure Airmen are assigned in locations that support both the accomplishment of the mission and the well-being of families. EFMP-Family Support (EFMP-FS) offers family support and community to EFMP families. This can include family friendly activities, support groups and coordination with the base’s School Liaison Officer to ensure clear communication with local school districts and resources for families to know their children’s educational rights. The Air Force EFMP offers respite hours to qualifying families through Child Care Aware. Whether or not a family qualifies for respite depends on severity, level of needs, and disability. Air Force EFMP respite is currently up to 40 hours a month, includes siblings and is dependent on availability of funding. Families can call the EFMP Respite Line at Child Care Aware (1-800-424-2246) or visit their website for more information and to start the enrollment process. Keep in mind this is not a guaranteed benefit and only exists when funding is available. There also may be long waitlists for care. Visit the AF EFMP Website for more information. The Army primarily uses its EFMP program to ensure families are only sent to locations that the EFM can be supported. They do make it clear that this does not mean the soldier will not be sent somewhere unaccompanied. The Army relies on families to self-identify as EFMP or, when going overseas, EFMP screening is implemented. If special medical needs are identified in this process, families will be required to enroll in EFMP. If a family member is enrolled in EFMP, the soldier’s record will be flagged as EFMP when assignments are considered. Sponsors are responsible for keeping all enrollment information current and providing updates whenever there are changes. The Army does offer EFMP respite care, but it has recently been reduced and eligibility standards tightened. Families can qualify for up to 25 hours a month, but only certain levels of severity will qualify for care and there are different levels of care offered. Families cannot use ECHO respite or state respite while using EFMP respite, and siblings are not included. For more information on Army EFMP respite, families should contact their local EFMP office to see if they are eligible. 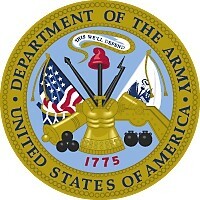 Visit the Army EFMP Website for more information. 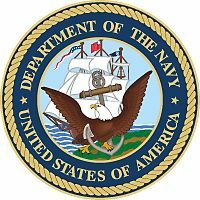 For some of the more severe categories, the Navy will only send families to assignments considered capable of caring for that category of need. Sailors can talk to their detailer regarding other options for assignments. It’s important to keep EFMP category and info up to date so that assignments can be coordinated to meet the family’s needs. Navy EFMP also offers EFMP Liaisons and EFMP Coordinators. EFMP Liaisons are located at Fleet and Family Support Centers and provide information, referral and system navigation to special needs families. They also link families with available military, national and local community resources, provide non-medical case management, and develop and maintain Individual Service Plans (ISP). EFMP Coordinators are located at the MTF and oversee the identification and enrollment of eligible service members and their families. They also provide enrollment forms, offer help in the preparation of the forms, review completed forms for accuracy, and forward the enrollment package to the Central Screening Committee. Families need to update their EFMP enrollment every three years or with any change of status. The Navy currently offers up to 40 hours of respite a month to qualifying families through Child Care Aware. Severity and type of need are taken into account when determining eligibility. Siblings are included. For more information or to enroll in the Navy EFMP Respite program families should contact the EFMP Respite line at Child Care Aware at 1-800-424-2246 or visit their website. Keep in mind this is not a guaranteed benefit and is dependent on funding. There also may be long waitlists for care. Visit the Navy EFMP Website for more information. The Marine Corps uses EFMP for both considering assignments and for family support. To enroll in EFMP, the Active Duty sponsor should visit his or her local EFMP office or email enrollment questions to Headquarters at HQMC.efmp@usmc.mil. Once enrolled, families will go through an update process every three years. The Marine Corps relies on self-identification or Suitability Screenings to identify a family member with a special need. 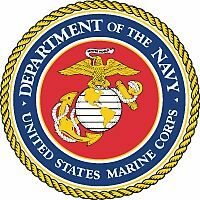 Marine Corps families are assigned a Family Case Worker to provide information and support quarterly. The Marine Corps EFMP also works to review all Permanent Change of Station (PCS) orders to ensure families will have access to necessary medical care and educational supports within reasonable distances based upon frequency of required care. The Marine Corps EFMP also works to support families before, during, and after a PCS move to ensure a seamless transition. They also work to identify family members who are eligible to be considered for Priority Housing and/or housing accommodations/modifications, in accordance with appropriate federal law and to endorse eligible family stabilization requests, when appropriate to support unique care requirements. The Marine Corps uses four enrollment categories, or “Levels of Need,” as guidelines when making assignment decisions. Marine Corps EFMP does offer respite reimbursement for Levels of Need 3 and 4. Level of Need is determined during eligibility for enrollment in EFMP. Families can be reimbursed for up to 20 of care a month for qualifying care. Siblings are not covered. Adult EFM’s are not covered. Each installation sets its own procedures for reimbursement for care. Families should contact their installation’s EFMP office to inquire about reimbursement for respite care. This is not a guaranteed benefit and availability may vary. Visit the MCCE EFMP Website for more information. While the Coast Guard does not have EFMP, they do have a similar program called SNP, or the Special Needs Program. 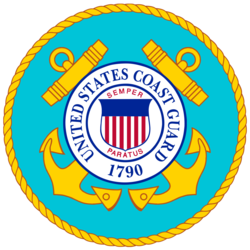 SNP is implemented through the Coast Guard’s Office of Work-Life programs. SNP is a comprehensive, coordinated, multidisciplinary approach to community support, housing, medical, educational, and personnel services for Coast Guard families with special needs. Efforts are made by SNP to ensure that you, a sponsor with a dependent family member(s) with special needs, are assigned to duty stations where access to, and availability of, medical and community special needs services are validated. Like EFMP, SNP is mandatory for Active Duty members if a qualifying need is identified in one of their family members. For enrollment and updates to enrollment, families should contact their Office of Health, Safety and Work-Life Family Resource Specialist. Work-Life staff sorted by field office can be found here. The Coast Guard offers respite through a program called The Coast Guard Mutual Assistance Respite Care Program. It is considered short-term help while the family works to get their own care in place and is not a long-term benefit. To be eligible for respite, the family member must be diagnosed with a profound disability, or a serious or terminal illness that requires ongoing care and attention and must be enrolled in the Coast Guard Special Needs Program. Families should contact their Family Resource Specialist to inquire about eligibility.